Join Me at the NetDiligence® Cyber Risk & Privacy Liability Forum! Are You Covered When Hackers Get Through? • Does a company have coverage for data breaches? A blog post so nice, it had to be published twice. The fine folks at the Lexis Insurance Law Center have republished my post, “Dusting Off an Old Law” – Insurance Coverage for Trespass to Chattels Claims. Many thanks to my friend Karen Yotis for putting the article online. 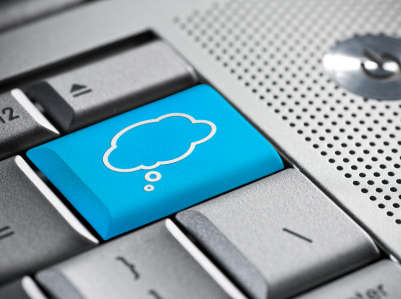 When you hear “cloud computing,” is insurance the first thing that you think of? No? I’m the only one who thinks that way? Well, if you were wondering about the implications of cloud computing on insurance and risks, I co-wrote an article with my former colleague, Idan Ivri that addresses those questions. Cloud computing is a loose term, but it generally refers to storing user data or applications on a remote server rather than on users’ own systems. A 2009 industry study by Coda Research Consultancy estimated that, by 2015, various forms of such software could represent 17% of all information technology spending worldwide. That sounds great, doesn’t it? The idea is that you and your business don’t have to buy expensive suites of software or massive servers and hard drives to store all of your applications, because you will be able to access them via a third party (sometimes known as a third party application service provider (ASP) or software as a service (SAAS)). [I]f developers make privacy the top priority, cloud-computing developers may face those that say they should be liable for the bad behavior of unsavory customers seeking a dark place to host illegal data or viruses. On the other hand, privacy standards that are too low could make developers liable for data theft against legitimate users, or for putting private data into the hands of advertisers. Developers will also have to handle disruptions or unavailability of data and services to end users. Do developers, ASPs and SAAS providers have insurance to cover those risks? Will “traditional” insurance policies cover? What about specialized “cyber” policies? For the rest of the discussion about insurance for cloud computing, click on over to the full article at Software Development Times on the Web.